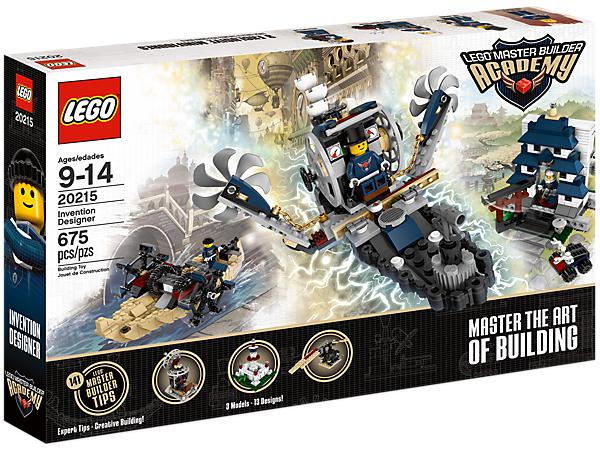 Lego has a building program called Master Builder Academy (MBA) and they just launched a new kit with a Steampunk theme. MBA kits are part of a program that is intended to teach kids of various ages advanced building techniques. The kits feature detailed instructions books and can be used to build a number of models (instead of one, as is usual with Lego sets). MBA kits also come with access codes for the online MBA Academy which has videos, instructions and other activities. This month, Lego launched an MBA set called "Invention Designer" which includes 3 sets of bricks plus instructions to build 13 models. And they are very kewl. Isn't that awesome? We try to build steampunk stuff with our Lego all the time, but it would be fun to have detailed instructions to help with the process. And the right pieces. Granted, we enjoy the hacking, but some of the more funky gear-type parts are missing from our sets. 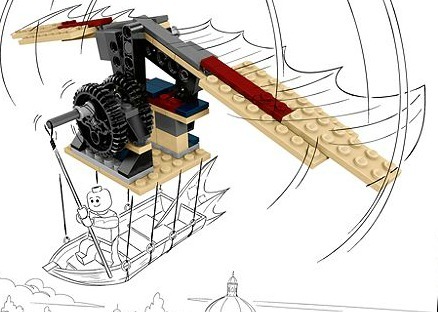 The Invention Designer kit is available on the Lego site.